When someone who does not live in the Midwest is asked to describe it you get the typical answers. They describe the cornfields, the flat land, more cornfields, the terrible winters, even more cornfields, and if they are an athlete, the time spent playing outside sports in a confined inside space. Baseball players do not usually come out of the Midwest. They are not meant to compete with the studs who play year round in California, Texas, and Florida. I would recommend that you not say that to Jarred Kelenic. Jarred sees it as an opportunity. And if you come at Jarred with a challenge, he smiles and makes it his goal to beat your challenge and then set a harder challenge for himself. An opportunity to prove that baseball players come in all shapes and sizes and from all parts of the United States. Jarred hails from Waukehsa, Wisconsin and plays for the Rawlings Hitters, might be the most dominant high school baseball player in the country. When you look at him you think perhaps the kid is playing the wrong sport. He stands 5’11” and weighs about 185 and is built like a linebacker who spends his entire day running downhill looking for a quarterback to crush. He is compact, strong, and well put together for a kid his age and his strength shows when he makes contact with a baseball. 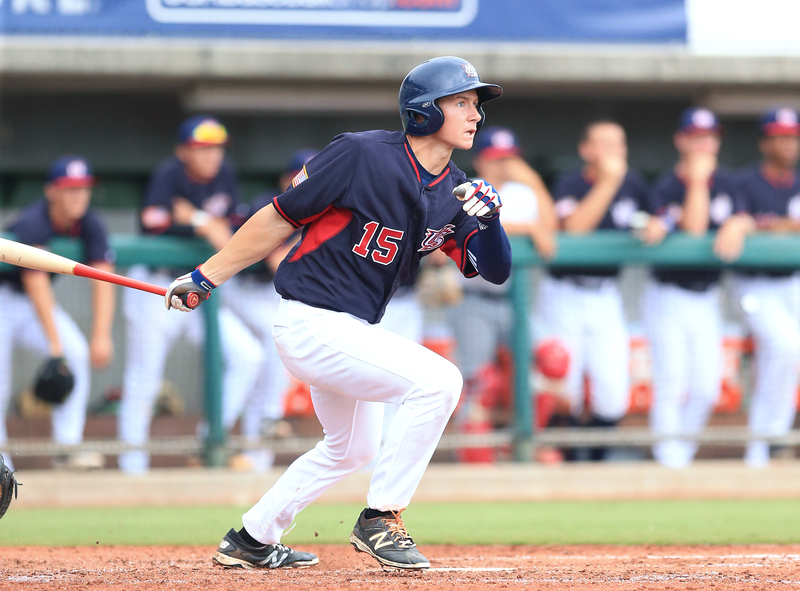 “He hits the ball hard.” Says Matt Blood, director of USA Baseball's 18U National Team. To be fair, he may be right. Most high school kids struggle to get up for school at 7:30 or 8 o’clock. By the time they are rolling out of bed Jarred has finished his workout, gotten in a round of batting practice, and is out the door. And that is just his morning. “Jarred is intense and focused on his craft. He has obviously worked very hard to get to where he is now,” Says Matt Blood. It is rare to find a young man who is so talented, so driven, but so humble at the same time to realize the importance of the people around him who make a difference. Jarred often comments on the impact of coaches who make such a big difference. He says that being on a team with coaches and players who work with a positive attitude can have a huge impact. It is that drive that keeps Jarred going on a daily basis; “I don’t have off days” he says. He continually wants to get better on the field and sees his improvements there as a chance to grow off the field as well. You know what, he just might be right…again. That mentality and drive might be the reason why a perennial college baseball powerhouse like Louisville came calling early. It might also be the reason why Jarred committed in 8th grade and has not waivered since. When you probe Blood further you find out that the coach likes one particular quality over all the others. It is rare in this world to see kids who want to be the best, but realize what it takes to become the best. Ego can get in the way very easily and can derail even the most promising talent. When the ego is moved out of the way the opportunities become limitless. No, Jarred Kelenic is not Redford in the wheat field playing catch at 95 without ever having to work. He resembles better Rocky, training away in a barn with nothing but a fire to heat the place and makeshift weights to hone his skill and sculpt his body. He will climb the mountain of snow in the Russian wilderness to make sure that he is always prepared for the battle with Drago. Because that is the only way Jarred Kelenic knows how to approach the day. 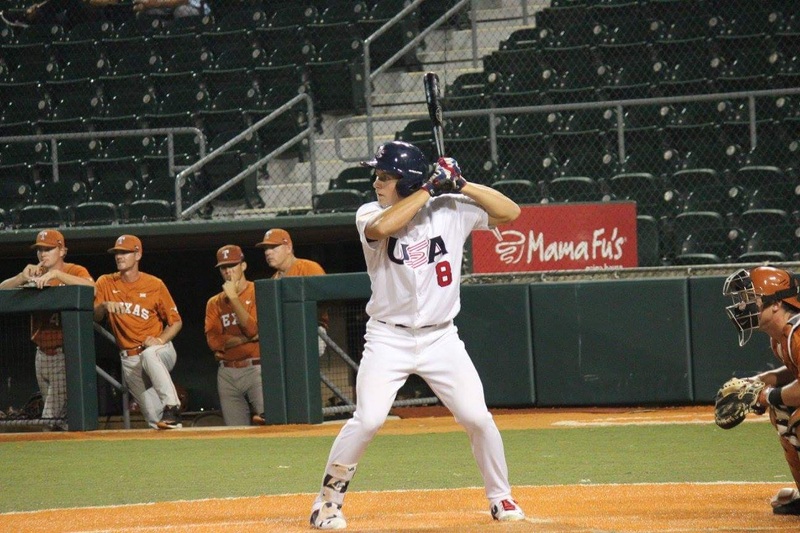 That drive and work ethic is the reason why he was able to make the twenty man roster for the 18U National Team recently. 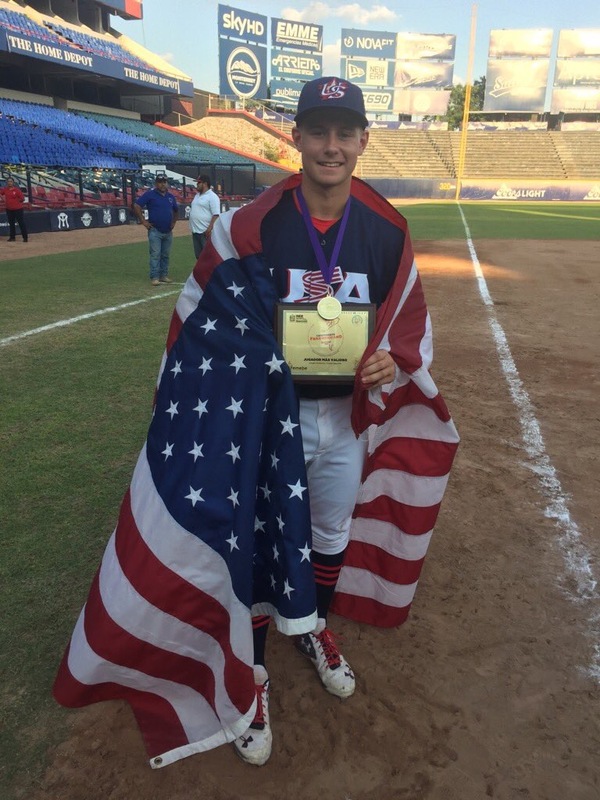 It might also be the reason why he hit .407 at the COPABE Pan American "AAA" Championships for the gold medal winning USA squad while taking home MVP honors for the entire tournament. “It was nice to see Jarred rebound so well in the tournament itself. He didn’t have the best tryout for the team. You could see that he was pressing, trying to do too much, trying to be perfect. He just needed to play baseball,” said Blood. And play baseball he did. His stats for the tournament were outstanding and when you look at a team that goes 7-1 in the tournament and takes home the gold with the tournament MVP you see the impact that Kelenic can have. This too, while being surrounded by the best high school talent in the country. It takes a great deal of outstanding baseball to make yourself stand out amongst the standouts. And that is what makes the Kelenic story one that is exciting to watch. People who are not around the game do not think baseball in the Midwest. Kids there do not get those year round opportunities to fine tune their abilities on the field. They are forced to work inside, in cages, domes, gyms, fieldhouses, or maybe even a barn with nothing but a fire burning within themselves to heat the place on a cold winter. Ask Matt Blood if there is a weakness, a chink in the armor, a flaw to be exposed and only one thing comes to mind. That is the scary part. Jarred Kelenic does not do failure, he does not accept it, and the word probably does not exist in his vocabulary. “Every opportunity is an opportunity to get better,” says Jarred. What happens when you have a kid who has a tremendous work ethic, a drive to be the best, a passion for the game unmatched, who takes coaching well, and wants to have fun playing baseball? You sit back and enjoy the ride. You watch a kid who literally will run up a mountain in the snow if it will make him a better baseball player. You watch a kid who will train year round despite the cold and snow. You watch a kid who does not care what people think because he comes from the Midwest. You watch a kid who loves the game and plays it at 100 miles per hour no matter what the situation is. You sit back and you enjoy and you hope your kid is not in the opposing dugout that next day. Because at some point Jarred Kelenic is going to impact the game and losing is not an option.